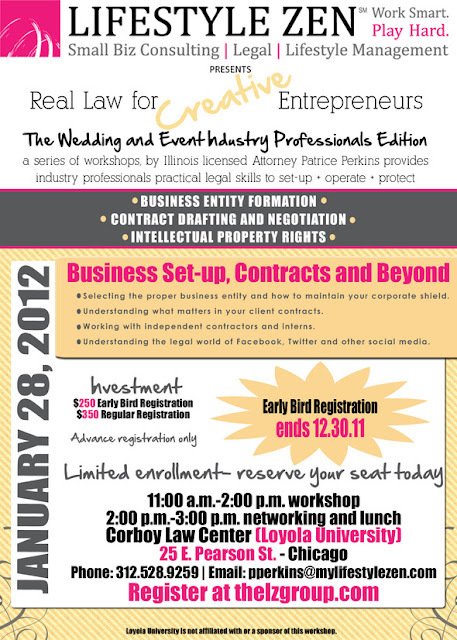 Real Law for Creative Entrepreneurs! Lifestyle Zen is helping you put your creativity into practice. Check out this great event and sign up! Spaces are limited and filling up fast!